I have had a wonderful and relaxing week here in Florida. 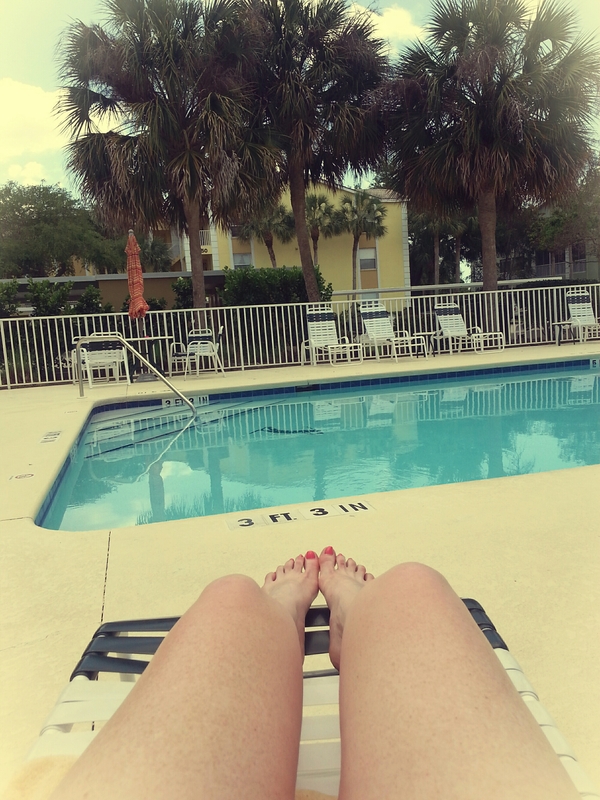 Just spending one last morning by the pool. Hope everyone is having a great weekend! Have missed you all xoxo. Naples is, indeed, beautiful. Very close to the Tampa Bay Area- where my parents live, and even closer to Arcadia, where my farm is… Small world. I was just down there. Where were you? Oh…down on the west coast….I was in Orlando. Hope y’all had a fantastic trip. Safe travels home. Thanks son! I stayed an extra day lol. How are you? Haven’t talked to ya in forever! I know! I’m tan and happy lol. How are you?? Not tan, and not happy about it! Soon enough though. How’s pops’ leg, by the way? Lol my tan is already fading. His foot is good. It gets swollen after too much walking so he elevates n ices it. Glad you’ve had a great time. It’s been cold up north here, so bring some of that heat back with you!!! Ah very nice! Where in FL again?! Cool. Quite a bit south of me then! That’s the pool 10 steps out the condo door lol. The big pool is much fancier but more crowded lol. How are you Yogi? Missed u xo!